The Official GPS Route is not actual data. It is all off trail and ridiculous steep. As always, go at your own risk. The safer option is ( 9mi RT ○ 1,600 ft ) out-n-back from Gordon Hirabayashi. Bear Canyon cuts through the Catalina's exposing seven life zones along the way. In the lower reaches is the very popular Seven Falls. Seven Cataracts lies in the mid section of Bear Canyon. 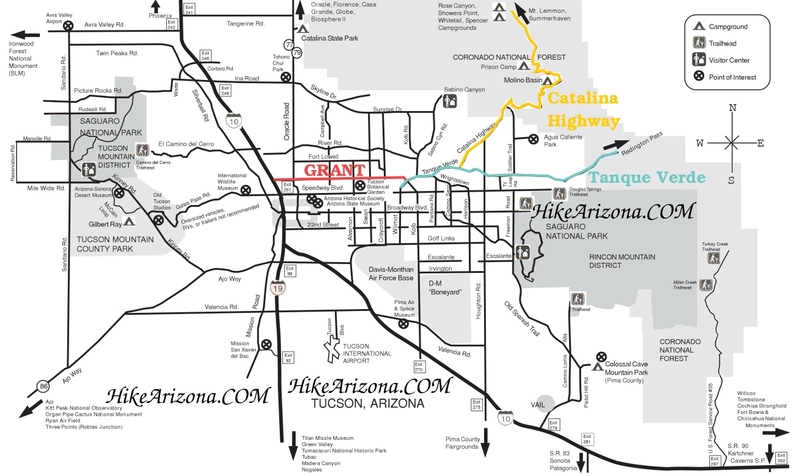 Seven Cataracts pullout is located at milepost 9.2 on the Catalina Highway. It's a steep descent down into the gorge cut by Bear Canyon. If you have hiked the Seven Falls trail you will recognize Thimble Peak further down the canyon. I read that Arizona Cypress is of excellent viewing near this area. The largest recorded tree is in the Catalina Mountains. I'm not sure if it's in Willow Canyon. 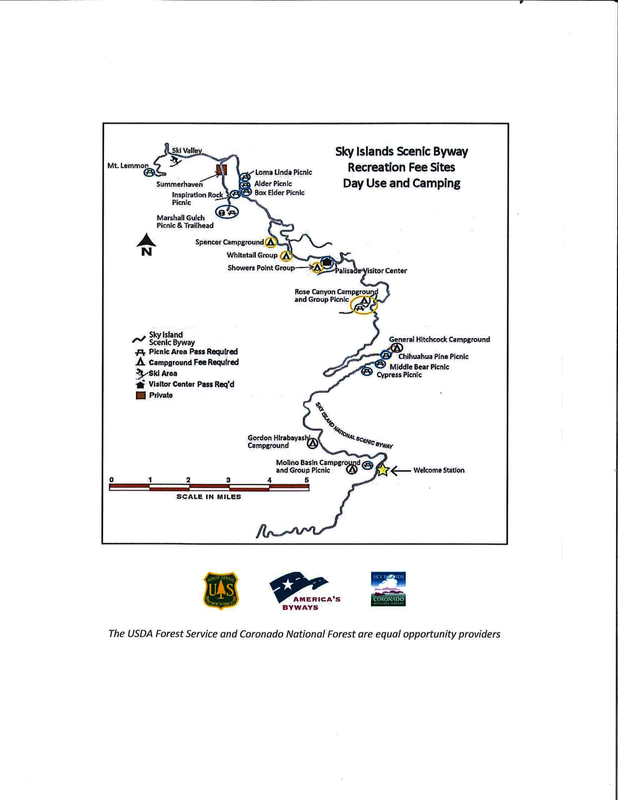 Hike Down: No maintained trail exists. From the pullout there is a trail of use according to other sources. On my journey the road was closed for repairs. The road was closed just before the pullout. I opted to jump the retaining rail and head on down. It was extremely steep from the road. In fact I'd say it was out right dangerous but I had a mission. Earlier in the week I came across the fact that there was a near hundred foot waterfall in the Catalina Mountains. It didn't matter that nobody would do this hike in December. I had to see it for myself. The descent seemed to continue forever. You know it's rough when you're getting tired going down! I was curious to see how this compared with the Flatiron. Turns out the steepest ascent in the upper section of the Flatiron climb is at a grade of 67 degrees. This slope into bear canyon is only 52 degrees where I entered. Then again from the Seven Cataracts pullout the grade down is 62 degrees, so I guess I was blessed. Down in the canyon there was slow running water. I cairned the point and headed upstream. The going was easier than I'd expected. Several small cascades and shallow pools were encountered. Several times I spotted eye catching rocks. I'd describe the rocks as white-gray marbled with shiny silver crystal. In addition I went over a short section of sand. The small bank was a mix of sand and large specs of the shinny metallic substance. Surely nothing of value, but it's cool to look at. I was unsuccessful finding a similar rock in my reference books. It took me an hour and a half to get to Willow Canyon. The Seven Cataracts are lined in Willow canyon, which comes in from the Northwest. There is a killer multi-tiered fall where Willow Canyon meets Bear Canyon. Unfortunately the lack of water flow wasn't enough to make it spectacular. 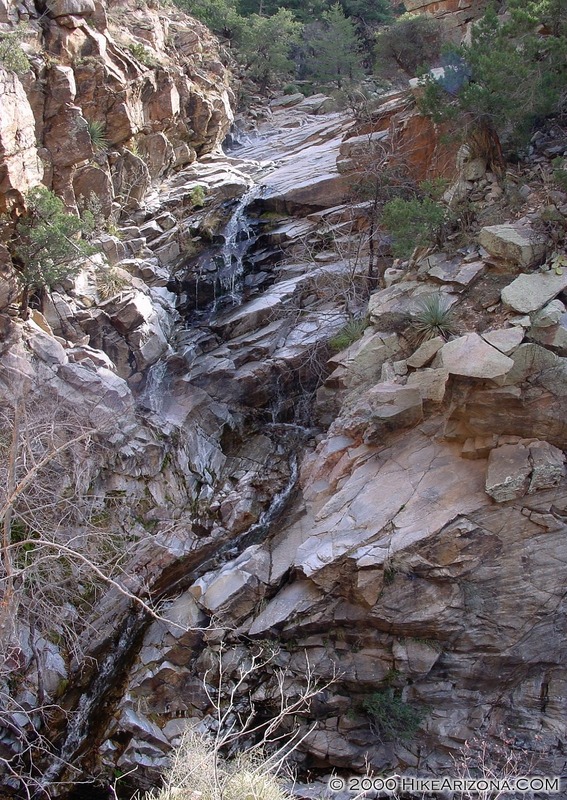 The idea is to work your way up Willow Canyon to some spectacular falls and pools. The Catalina Highway was set to reopen at 3pm. I turned back in fear of my truck being towed. Someday I'll return to explore the upper falls. I did catch Bear Falls a short distance up stream. Sweating up a storm in December I can only imagine how refreshing the pools would be in the summer!